In Excel, you can create a pivot table to quickly and easily summarize a large table of data. If you are familiar with pivot tables in Excel 2003 and earlier versions, watch this short video to see the new techniques for creating a pivot table in Excel 2007. Use the Ribbon commands to insert a pivot table, then use the new PivotTable Field List to add fields to the Report Filter, Column Labels, Row Labels, and Values areas. Excel 2007 also has new PivotTable styles, and there's no built in way to copy a PivotTable style from one workbook to another. The video here will show you a workaround for copying your favourite styles to a different workbook. To focus on the best or worst results in your data, you can use the Top 10 filter feature in a pivot table. With the Top 10 values filter, you can see the Top or Bottom Items, or the items that make up a specific Percent or that total a set Sum. When you're creating a pivot table, it's best if the source data is all on one sheet. However, if you don't have that option, multiple consolidation ranges will pull all the data into one pivot table. Excel pivot table subtotals are automatically created when you add more fields to Row and Column areas. You can change the summary function for a subtotal, and create multiple subtotals for a pivot field. 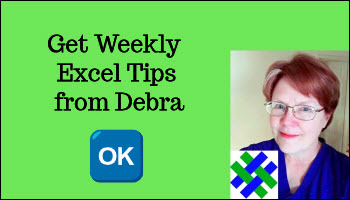 After you create an Excel pivot table, you probably make several changes to its formatting, and to the pivot table options. Instead of manually making the changes, use a macro to format the pivot table, in Classic Style. After you record a pivot table, make a few changes, so the code is flexible, and can run on any pivot table, in any workbook.